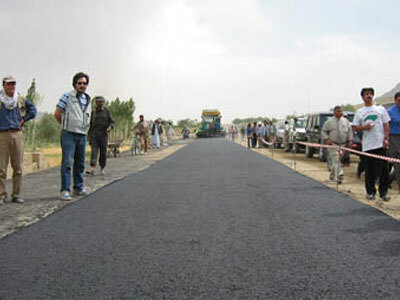 Read how Resperion helped save USAID $90 Million on the construction of the 389km road constructed from Kabul to Kandahar. Travel time between Kabul and Kandahar has been dramatically reduced from over two days to less than 5 hours. For Afghan tradesmen who are dependent upon transporting commercial and agricultural goods across the country to earn their living, traversing the 500km terrain made up of little more than dirt and gravel took close to 48 hours. The Kabul-Kandahar highway was built 40 years ago with U.S. funds, but decades of neglect and war turned it into a rutted patchwork of potholes. Little could move along the lifeline that provided so many Afghans with their means of livelihood and their access to healthcare, education, markets and places of worship. 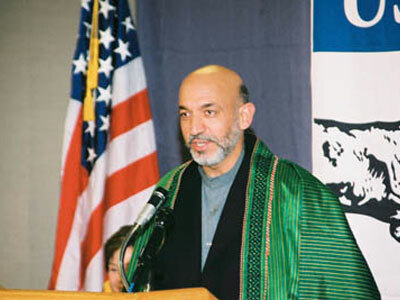 Restoring the highway has been an overriding priority of Afghanistan Presidend Hamid Karzai – a new highway would be crucial to extending the influence of the new Afghan government. Without the highway link, Afghanistan’s civil society and economy would remain moribund and prey to divisive forces. The economic benefits of the new highway will help guarantee the unity and long-term security of the Afghan people. 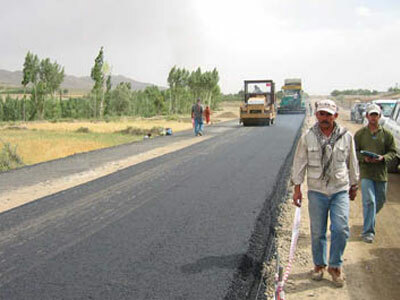 In September 2002, The Louis Berger Group was notified by USAID (United States Agency for International Development) of its selection as the prime contractor for the restoration of the Kabul-Kandahar highway. Prodded by President Karzai and President Bush, the company signed on to an extraordinary ambitious timeframe: completion of the Kabul-Kandahar highway by the end of 2003. The new highway was to be built to US construction standards and specifications, designed to withstand traffic for 15 years. 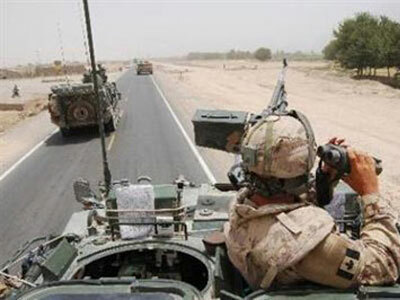 Simply completing a project of this magnitude in Afghanistan would be challenging enough; all of the equipment, most of the skilled labor and nearly all of the materials would have to be imported, and the roadway had to be cleared of mines before construction could begin. 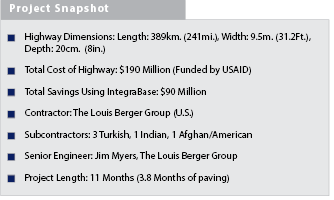 Louis Berger faced two major hurdles in their attempt to complete this project by December 2003: cost and time. After reviewing budgets and road designs, Louis Berger realized that finishing this road within the given budget and timeframes was going to be problematic. 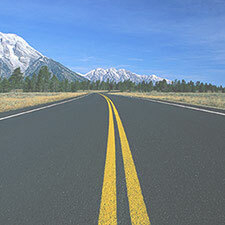 Louis Berger contacted Resperion, a manufacturer of IntegraBase, a high-strength basecourse modifier, to see if Resperion could assist them in designing a road that would meet the challenging cost and time requirements at hand. 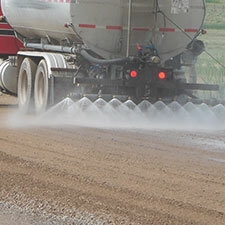 After assessing the specifications and road design, Resperion assured Louis Berger that IntegraBase would enable them to successfully complete the road on time, and under budget, while exceeding the standards and specifications originally set forth. As with any construction project, time and cost are always the biggest obstacles faced by contractors. 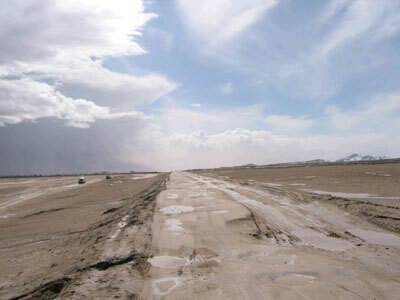 IntegraBase was easily able to address both of Louis Berger’s challenges – while providing for a superior road that would be able to handle the heavy loads and extreme temperatures experienced by the Kabul-Kandahar highway. 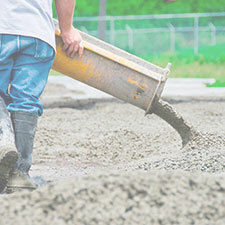 IntegraBase is the only modifier which so dramatically increases the structural capacity of asphaltic materials that it is possible to reduce the thickness of the base course and lower initial construction costs. IntegraBase enabled Louis Berger to reduce the thickness of the base course from 14-inches to 8-inches – while increasing the overall strength, durability and performance of the road. IntegraBase’s dramatic increase in the resilient modulus of the base course also enabled Louis Berger to completely eliminate a planned 12-inch sub-base. IntegraBase’s chemical binding properties also provided another means for Louis Berger to save money. IntegraBase produces a molecular change in the asphalt that increases the strength and durability of the bond between the asphalt cement and aggregrate, reducing stripping by up to 200%. This allowed Louis Berger to use local river-run gravel to build the road, eliminating the original need to import rock crushers to manufacture suitable aggregate for use with untreated asphalt cement. Overall, Resperion was able to save USAID $90 Million on the construction of the $190 million highway project. This savings allowed Louis Berger to spend much needed money on other activities, such as the hiring of thousands of security guards, the removal of mines and unexploded ordinance as well as other mobilization costs to ensure a timely completion of the project. Resperion was instrumental in helping Louis Berger accomplish the completion of this project on time. The paving completion, achieved ahead of schedule despite major logistical and security obstacles, and completed in record time compared to other road projects, is a testament to the technological benefits of IntegraBase. Completion of the 389km stretch of road took 11 months overall, with the actual paving time for the road being only 3.8 Months. IntegraBase was able to double the modulus of the asphalt used in this project, enabling Louis Berger to reduce the thickness of the basecourse by over 30%. This led to time savings in the paving process as the production quantities of asphalt cement were decreased as well as fewer lifts of asphalt were needed in the placing of the materials. Not only was Resperion’s IntegraBase able to save Louis Berger money by using river-run gravel, IntegraBase was also able to save time in the procurement of suitable materials and aggregate for the road. IntegraBase eliminated the long process of crushing rocks for suitable aggregates that would have been necessary with untreated asphalt, enabling Louis Berger to use local materials from sites near the Kabul-Kandahar highway. Travel time between Kabul and Kandahar has been dramatically reduced from over two days to less than 5 hours. 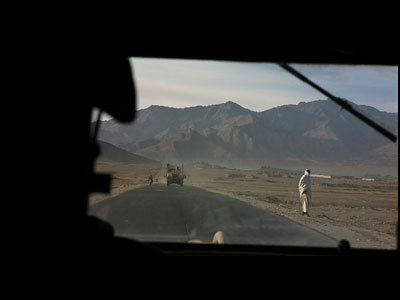 A taxi ride used to cost 1,000 Afghanis; it now costs 300. 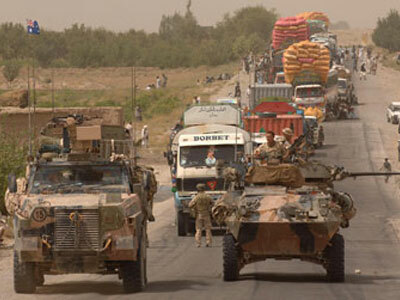 The ability of goods and people to move quickly between Kabul and Kandahar will have a significant impact on both local and national economies. Up and down its length, the highway will enable farmers to reach markets faster and increase people’s access to employment, schools, and health care. At a regional level, the highway will improve linkages between south central Asia trade routes. And, as an important part of the country’s ring highway system, the highway will show the commitment of the government to national unity, security, and development.